We are one of leader interior decorative supply company in Thailand supplied all kinds of curtains, blinds, wallpaper, and carpets to many hotels in Thailand more than 10 years. Now it is our time to make it one. 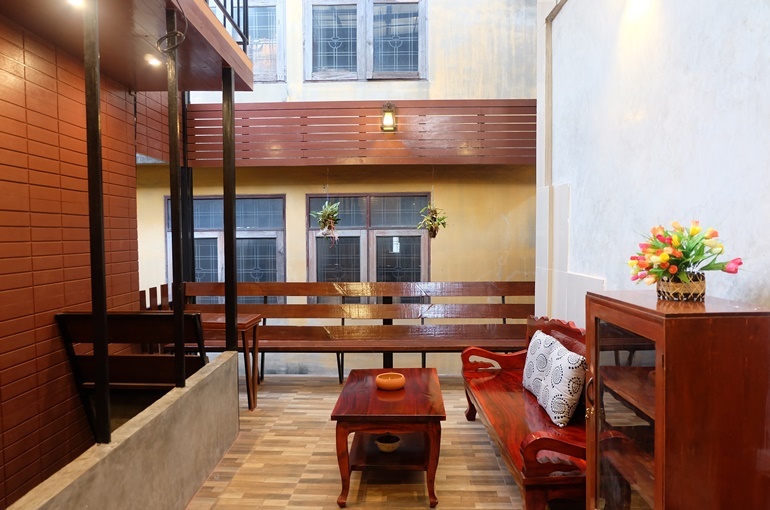 Decor do Hostel is four floors four stores building renovated from ours house and show room office. We build them as our show room of interior products that we sold almost of them. We committed to ensure guests will live here comfortably as much as possible with good and clean bed and room including the good standard of electric appliances like 4-5 stars hotel but pay in hostel price. We have deluxe rooms, Standard rooms and family rooms included beds in Mix Dorm, beds and room in Lady Dorm, to match yours style. 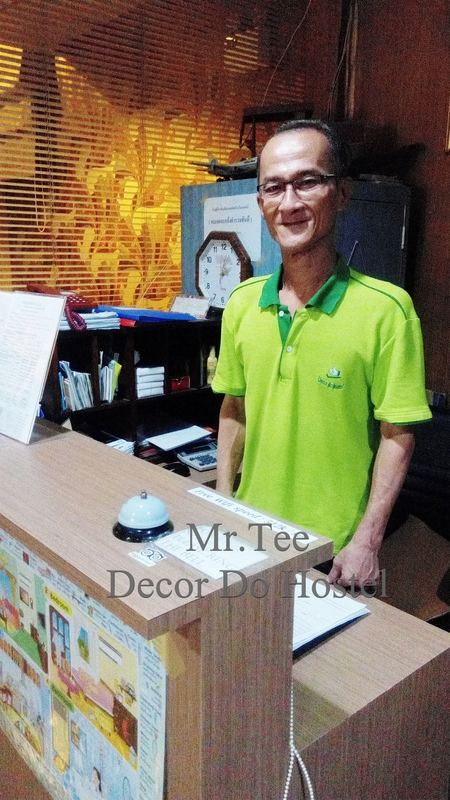 Ours staffs are pleased to serve for guests most satisfy and wish to be guest’s friend home in Thailand. The hostel offers many of services and facilities including shared kitchen for all guests use it as guest’s home with no fee. Coin-operation washing machines and laundry service to match your need. There are recreation areas, which you can joy and join with other guests. Coffee & Drinking water/ Bath gel and towel / Wi-Fi are free widely throughout the hostel. Ours hostel is suitable for a little long stay we have daily rate weekly rate monthly rate include or not include electricity used as guests prefer. You can live here with the good standard of living but pay in cheap price because ours hostel has no investment cost of building and decoration is ours reject products from wrong size and color error. Some items are free from ours supplier's factories as their showcase. That is why we dare to say worth room clean safety and friendly in cheap price. Money is important but it’s not ours main point of renting out this property, we love to meet new people around the world and hope to be yours good friends in Thailand; See you soon. 2) Check in after 20.00 must have deposit or make reconfirm by tell or email if there are not and there are guests waiting for the room we should release the room for guest whom waiting for it. 3) We don't have a car park but there are public car park surrounding and the fee is approximately 100 baht per night. 5) Weekly and monthly can do at the hostel office only except former guests. 6) 24 hours door open and staff service. 7) Clean Comfortable Safety and Cheap is ours main policy. 8) Credit card are accept for amount over 1,000 baht and + 3% bank charge. 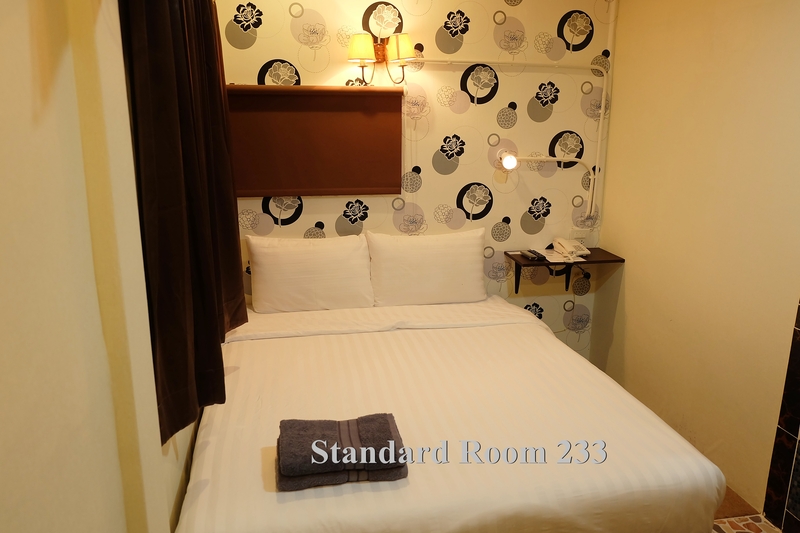 9) As a hostel we supply for free in room cleaning and all new bed sheets every 3 days of stay.If guest request before 3 days of stay the cleaning fee 100 baht and 20~40 baht per piece for change new bed sheet will charge. 10) Towels, bath gel ,shampoo, drinking water ,coffee are free for all. Address: 52 Soi (alley) 14/1 Charoen Nakhon Rd. near Taksin Bridge Thonburi side of Chao-Phraya River Klongsan, Bangkok 10600, Thailand. Taxi from Don Muang Airport and Suvarnabhumi Airport cost about 400-500 baht + 70 baht (airport fee) and around 30 – 90 minutes upon on traffic situation. Children and women have been threats of violence within the family. We are with pleasure to offer a discount of 60% on all room type and beds for refuge the time deemed appropriate.